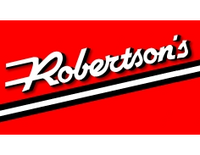 Serving Southern California for over 30 years, Robertson's is on the leading edge in the Ready Mix industry. We are the leading producer of ready-mixed concrete and construction aggregates in the Southern California area, covering Los Angeles, San Bernardino, Riverside, Orange, Imperial and San Diego Counties. From the San Fernando Valley to the High Desert and as far east as the Coachella Valley down to the Mexican border, we are committed to establishing long term, valuable business relationships by providing our customers with quality materials at competitive prices. We are continually looking to the future for the next innovations that will allow us to better serve our customers needs.